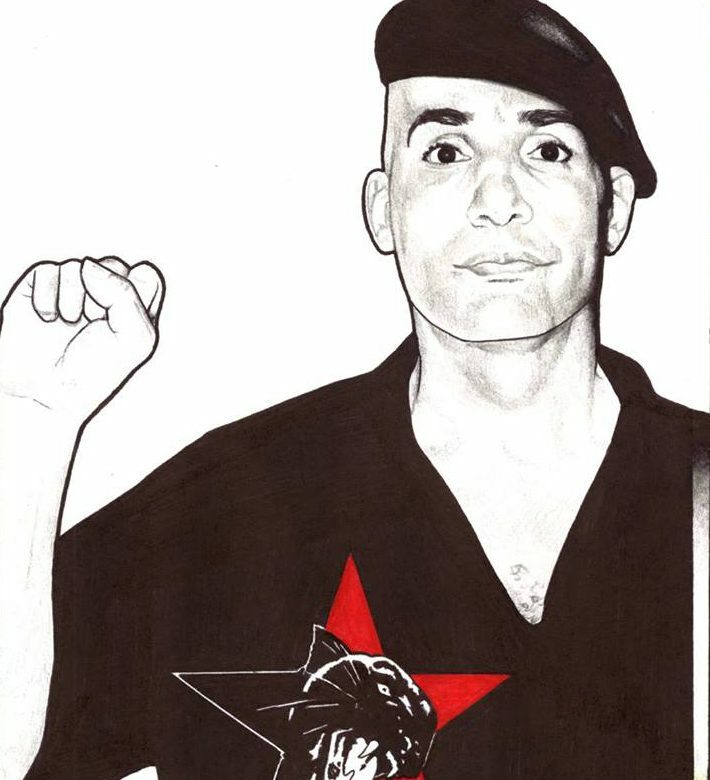 Prison Slavery abolitionist – Comrade Malik urges: All Out for Mumia! On December 9th in Philly!! Revolutionary greetings comrades, friends, and free-world allies! On behalf of the New Afrikan Black Panther Party (Prison Chapter), the Incarcerated Workers Organizing Committee, and the Movement which seeks to End Prison Slavery in Texas; I endorse and support the march and rally to be held in Philadelphia on December 9th. Mumia Abu Jamal is dying folks! And the State of Pennsylvania is 100% culpable. However, we must not forget the pharmaceutical company – Gilead Sciences – so if ‘corporations are people, or persons’ then I charge them with attempted murder and genocide!! $83,000 to $95,000 the price to save a life?! Comrade Tom Big Warrior just reached out to me recently in order to articulate the ideology and sinister nature of neo-liberalism. Well – here it is – in our face! Live and in Living Color!! Comrades, look across this nation. Our Indigenous sisters and brothers at Standing Rock fighting to protect sacred land – Black and Brown people being slaughtered like sheep by the police – and here is Mumia along with 53,000 humyn beings in Philadelphia who have Hepatitis – C and few can afford the treatment. If those ongoing struggles don’t serve as a wake up call to the corrupt nature of capitalism, I don’t know what is. There is no difference between the Democratic and Republican Parties, they both serve capital! If you don’t believe me then I challenge anyone to prove me wrong! Make Harvoni and Sovaldi available to the poor! Show me somethin’! Show me the money!! It is up to us – it is going to take an all out international response to save the life of Mumia Abu Jamal. Please, I implore you, help us save a life. 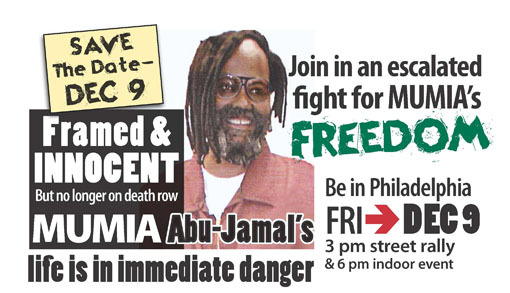 March and rally for Mumia on December 9th!